Kathmandu, 2nd November 2018: OPPO, the selfie expert and leader today announced its latest model A7 which is expected to be launched in Nepal later this month. Equipped with a powerful battery, an uber fashionable design, superior performance, unique waterdrop design and intelligent Artificial Intelligence (AI) enabled cameras, the OPPO A7, the latest entrant in OPPO’s A series smartphones, is expected to be equipped with a powerful battery at an affordable pricing for consumers in Nepal. With industry-first powerful batteries and affordable pricing, the A series has been among OPPO’s best-selling smartphones since its launch. The all-new OPPO A7, equipped with a 16 Mega-Pixel front camera with AI 2.0 and a 13MP+2MP dual rear camera and a 4230mAh large battery is set to wow customers across the country with the most modern features and fulfill their needs for real and natural looking selfies – all at the most affordable price. Talking about the upcoming A7, Mr. Bobby Zhao, CEO OPPO Nepal said: "With the A-series of smartphones we hope to bridge the gap especially concerning today’s youth looking for a smartphone with advanced features like dual camera-set-up, larger screen, and an extensive battery life - yet affordable. With a strong battery life, they will be able to continue with their active pace of life without having to worry about charging their phones time and again as well as capture cherishable moments all day long with fashionable OPPO A7”. With the launch of the all-new OPPO A7 in around mid-November 2018, the company hopes to replicate the tremendous love and success received for its previous phones in the A series and F series. While the OPPO A37 as one of the first products of OPPO to have launched in Nepal alongside OPPO F1s ruled its segment, the OPPO A3s created headlines for its huge battery life along with some high-end features such as dual camera setup and a “Super Full-Screen” display with a notch on the top providing 88.8 percent high-ratio screen. 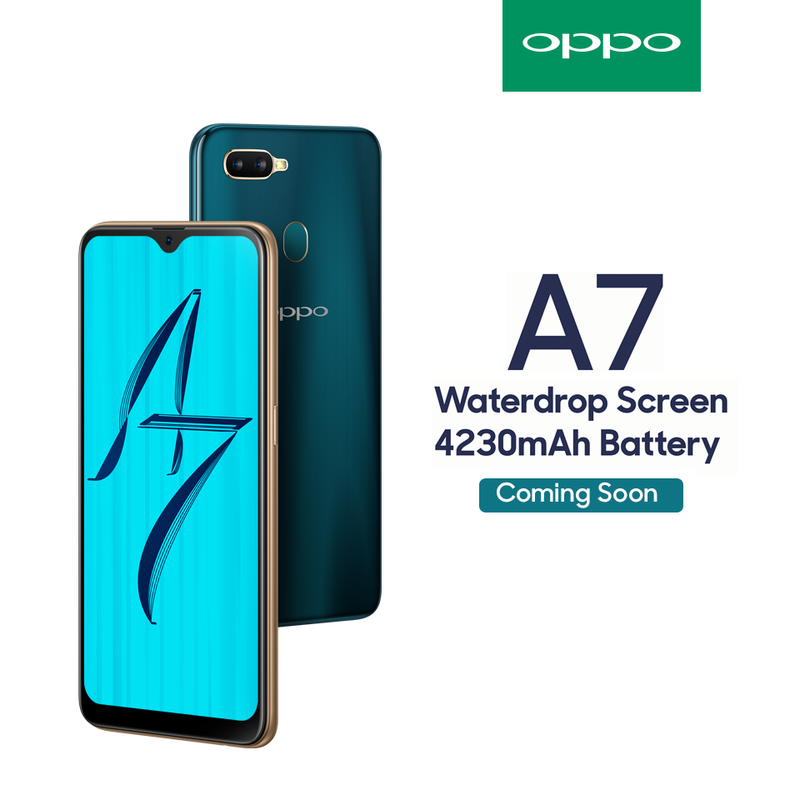 The OPPO A7 is expected to raise the bar higher with the most unique design and latest features packed into a powerful and affordable next-generation smartphone.